Read about this in NYTimes (http://movies.nytimes.com/2010/09/24/movies/24tibet.html). Review sounded good, so figured I’d post it here! It’s that time of the year again – Navratri! Head on over to Cal Poly Pomona for an exciting night full of competitions (grand prizes of diamonds for best garba and dress!) and, of course, Raas Garba! Garba is a high-energy Indian form of dance performed usually during the nine-day Hindu festival Navatri. One dances around the Goddess Durga in circular fashion to symbolize the Hindu view of the cyclical nature of time, and the idea that the Goddess (Durga) is unchanging as she is the only unmoving object. 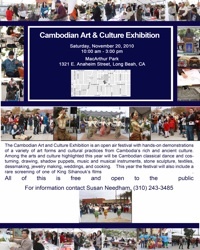 It is a very popular event among Indians and always full of culture, color, fun, and food! When: Saturday, October 23. Doors open at 8:00 PM.